When Michael Moore famously warned voters that Donald Trump had a very good chance at being elected, people laughed and scoffed at him. I remember watching him shake his head and try to explain why, saying “this man is not stupid,” but no one wanted to hear him. After all, the public had all these polls that showed a 90% lead Hilary Clinton had over the former reality TV star, and the idea was too preposterous to even entertain. Moore ultimately said something that should have been chilling to everyone in the room: “underestimate [Trump] at your own peril.” In hindsight, that was probably the most sound warning Moore had ever given anyone. But, hey, if news panelists were going to laugh Anne Coulter off stage for suggesting Trump would be president, they were going to do the same with him. It’s ironic to think that two people on the extreme ends were both having very clear visions about how the election would shape up. I don’t know what insight either of them had that the rest of the world didn’t, but on November 9th, 2016, Donald Trump was indeed elected as the President of the United States, and CNN has been running around like a chicken with its head cut off ever since. Trump’s election has certainly been a polarizing event and has inspired many longtime friends to become lifelong enemies. His divisive speeches and prose divides the nation like I’ve never seen before. 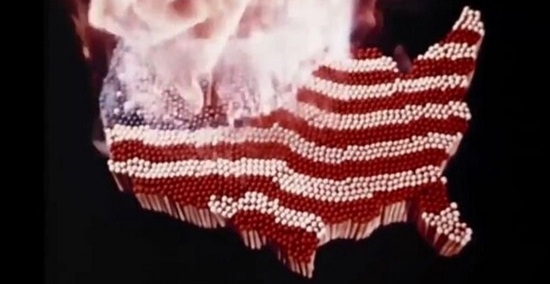 It also clearly stirred Moore, who took a long, positive look at life with his previous couple of films, and even started to sound a bit optimistic about our future in “Where to Invade Next?” There, he offered various ideas for how to make America a more honest country and better place to live (a stark contrast to previous films where he complained a lot without offering comprehensible solutions). With “Fahrenheit 11/9,” he is once again a pit bull; raging against injustices in the world and full of anger. He offers a grim solution near the end, though I question if it is the healthiest one to strive for. 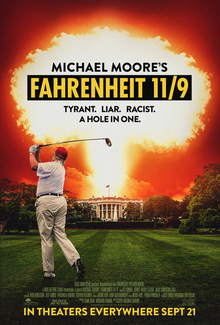 A spiritual sequel to “Fahrenheit 9/11,” Moore is once more looking at the man who holds the highest position of power and wondering how he got there in the first place. 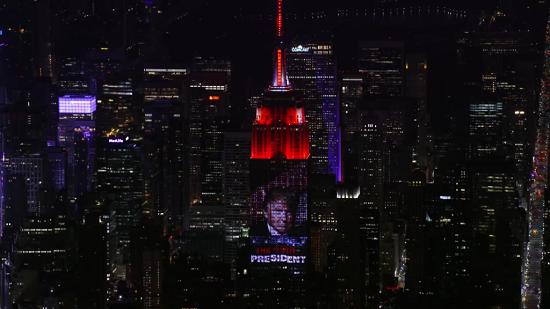 Instead of doing a slideshow presentation of all the man’s failings (something that would likely result in a much longer movie), he goes to the streets of America to find out how we created a system that would elect a man like Donald Trump in the first place. His answers and assumptions are all over the place and there are some wild theories. If this were a movie directed by Oliver Stone, I might be all jolly about the crazy theories and inspired by the film making. Since this is a documentary, I found myself consistently torn between my anger for many of the situations but cautious about the solutions put forth. Moore seems so scatterbrained this time around that I have to wonder if even he believes his own words. Maybe – like all the bloggers and YouTube protestors – he’s trying to make sense of the world in film form. Trump, honestly, isn’t even given that much screen time when you break it down. Moore does put together a decent story about Trump deciding to run for president after a public negotiating tactic to make more money than Gwen Stefani fails (a story I have personally been unable to verify at the time of this writing), then tackles topics such as a democratic party that screwed Bernie Sanders in the primary elections (a story I HAVE been able to confirm as of this writing). 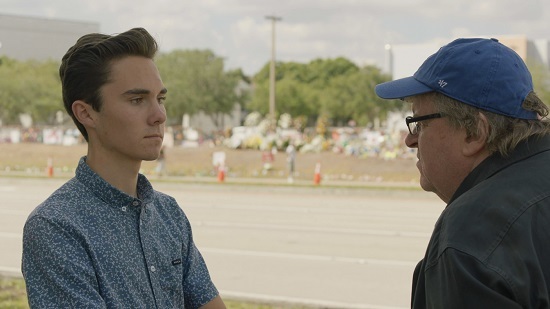 He delves into the Parkland shooting victims and everything they are doing as newly formed activists. He claims (like many others do) that Trump winning is a race relations issue, and (unfortunately) has enough video footage to make the idea sound a little bit plausible. Of course, he compares Trump to Hitler and gets uncomfortable when highlighting the man’s creepy comments about his own daughter Ivanka, but that is Moore being Moore. He does these things to get a reaction, but whether they are journalistic theories or something Alex Jones would be proud of is left up to viewers to decide. He rarely stays on topic enough for anything to stick, and this is probably intentional because some of his claims are so out of left field (ho ho) that if too much time was spent on them the audience might have a chance to really think about what is being said. What saves the movie (and gets the most screen time) is his time in Flint, Michigan during the water crisis, and how a governor with personal financial interests practically poisoned an entire town so his campaign donors could make a few quick bucks with a pipeline project no one wanted or needed. These scenes are the most focused, most enraging, and most heartbreaking moments in the entire film. 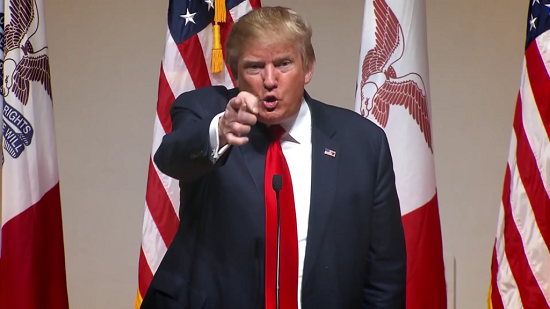 When former President Barack Obama comes into town and is viewed a potential hero in the situation, he pulls a political stunt so terrible, so dismissive, that virtually everyone in the room loses a president in less than two minutes of it happening. I suspect Moore was making a movie about this very situation early on, and that it just grew to include Trump in the narrative because it would make for an easier sell to the public. Without that connection, I doubt the film would have received the attention the water crisis itself would have. And yet, I feel a more focused Moore could have made a powerhouse of a documentary had it just stayed on topic. For Moore is so angry at the world, so angry at Trump, and so angry with the American people, that he swings far too wide and hits far too little. He’s not even making that personal of a film as I know people who voted for Trump that don’t like him. Talking to the people who did vote for Trump might have been a more fascinating subject. 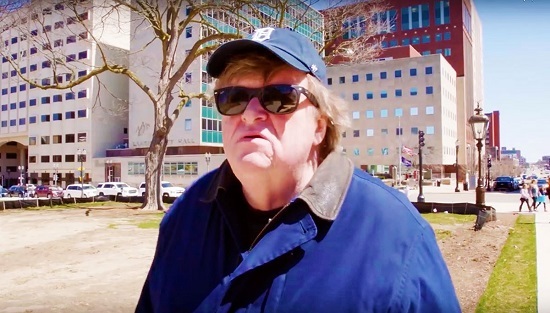 A full-length documentary on the Flint water scandal may have even given us the best Michael Moore movie since “Sicko,” which was the last time he contributed to the political landscape in an important way. While we do have Angry Moore back in the pictures, that also brings with him his condescending tone of someone who knows better than everyone, tweaks the narrative to make people look worse than they are (which shouldn’t be necessary in this case) and may try to reach for the stars when he should probably be reaching for the moon. 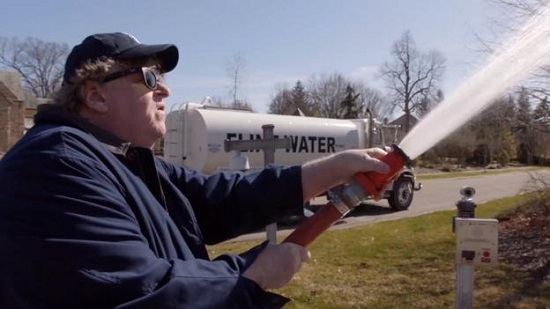 If “Fahrenheit 11/9” was truly going to work, it needed to speak to Republicans about who they were backing, and maybe encourage Democrats to listen a little more. By doing neither it can create nothing but more noise. Parents, there is a lot of foul language, disturbing images, and is VERY politically divisive! Recommended for ages 18 and up.